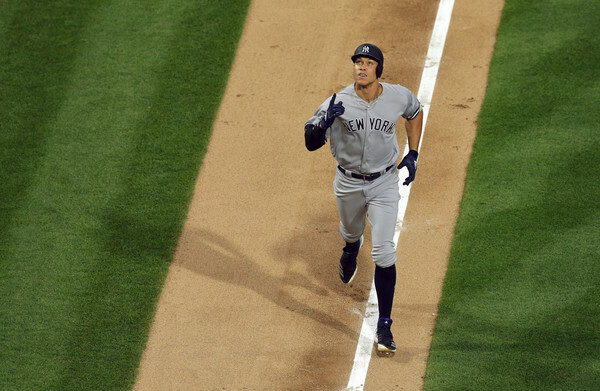 Aaron Judge continues to be one of the most enjoyable young stars in the game. Tonight, he hit home run number 20 in Philadelphia. It was his 75th career blast. It should be documented here, somewhere. And so, it is. It came in the 5th inning off Vincent Velasquez and put the Yankees up 2-0. It was all the Yankees would need, getting five-plus shutout innings off Jon Loaisiga, who improved to 2-0 in two starts.